If you are looking for a unique and spectacular view of the Las Vegas Strip and surrounding area, look not further than the High Roller Observation Wheel. Towering at 550 feet, it is the largest observation wheel in the world - and it provides a one-of-a-kind experience in Las Vegas. 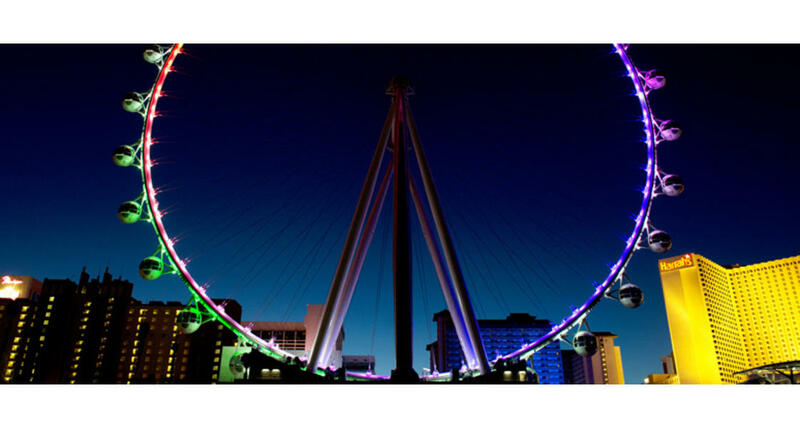 Situated at the end of the entertainment, dining, and retail district known as The LINQ, it is the new focal point of center Strip. Experience a grand adventure as you enter into one of 28 spherical cabins, holding up to 40 guests. Enclosed by 360 degrees of glass windows, the cabins also feature dynamic video and music shows. At one foot per second, it will take you approximately 30 minutes to soar high above Vegas and grab that special photo memory!